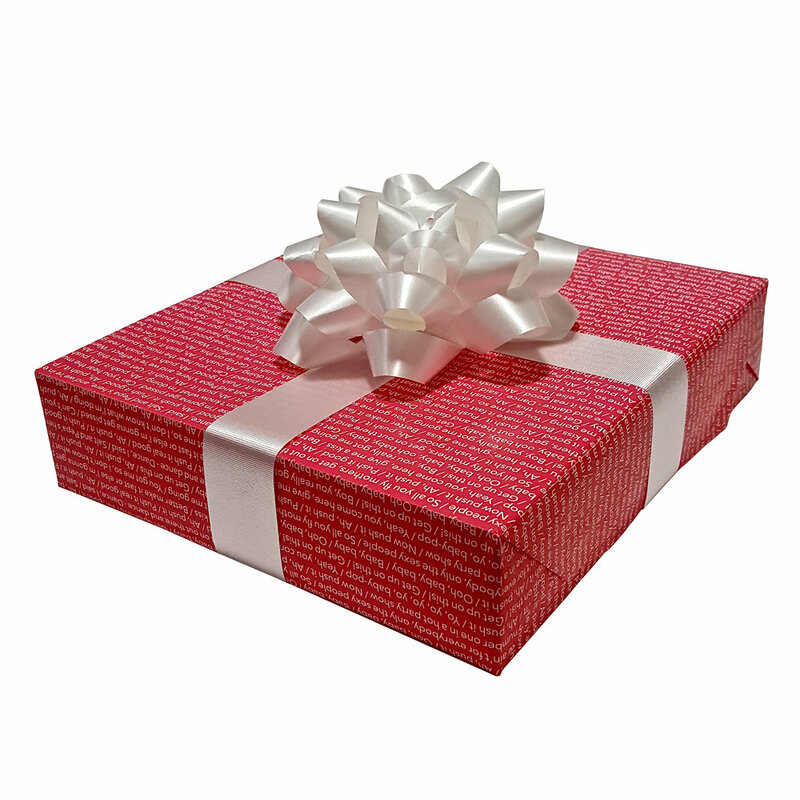 Step up your (w)rapping game with Gift Rap - novelty wrapping paper featuring the officially licensed lyrics to some of your favorite rap songs. 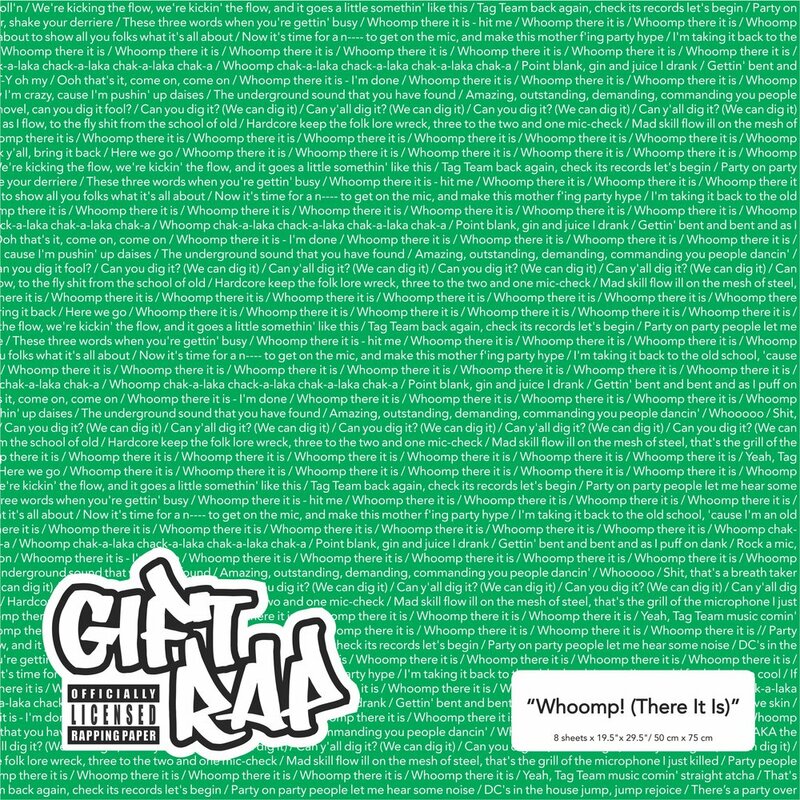 Premium quality, flat folded, wrapping paper featuring the officially licensed lyrics to "Baby Got Back". Lyrics used with permission from Universal - Songs of Polygram International, Inc., on behalf of itself and Mix-A-Lot Publishing. "Baby Got Back" was written by Anthony L. Ray. All Rights Reserved. 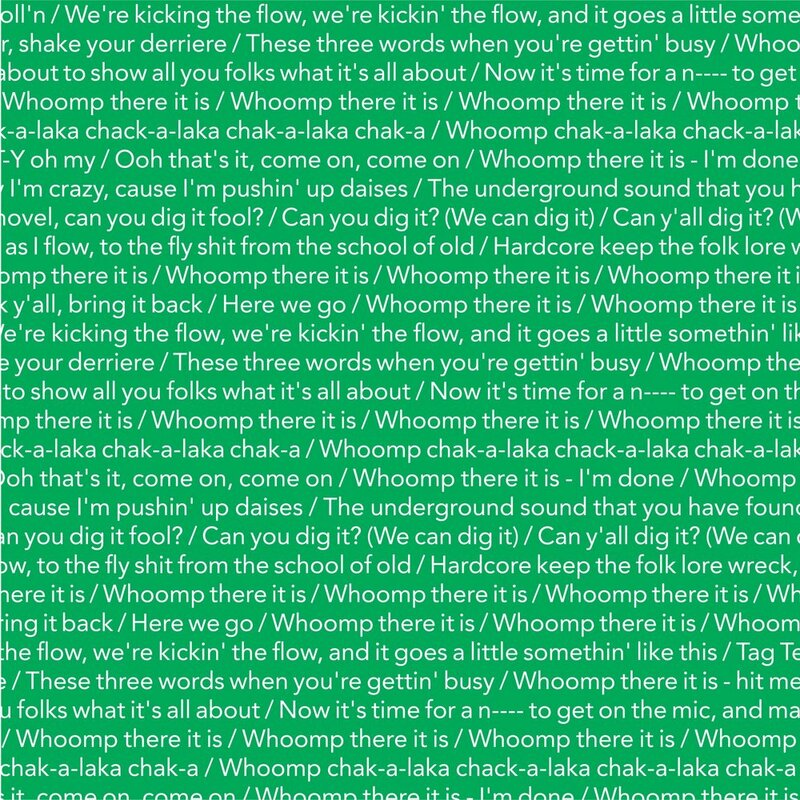 Premium quality, flat folded, wrapping paper featuring the officially licensed lyrics to "Push It". Lyrics used with permission from WB Music Corp. (ASCAP) and Sons of K-OSS Music, Inc. (ASCAP). "Push It" was written by Herby Azor. (Contains interpolation of Ray Davies lyrics for "You Really Got Me". Edward Kassner Music Ltd.) All Rights Reserved. Premium quality, flat folded, wrapping paper featuring the officially licensed lyrics to "O.P.P.". Lyrics used with permission from WB Music Corp., (ASCAP), Naughty Music (ASCAP) and Jobete Music, Inc. (ASCAP). All rights on behalf of WB Music Corp. and Naughty Music administered by Warner Chappell Music Canada Ltd. All rights on behalf of Jobete Music Co. administered by EMI Blackwood Music (Canada) Ltd. "O.P.P." was written by Vincent "Vinnie" Brown, Keir Lamont Gist, Anthony Shawn "Treach" Criss, Deke Richards, Frederick James Perren, Alphonso Mizell and Berry, Jr. Gordy. All Rights Reserved.